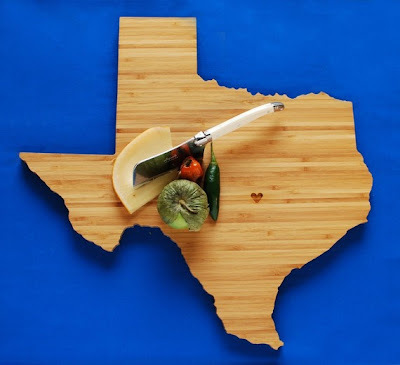 The most cool cutting boards and modern chopping board designs from all over the world. 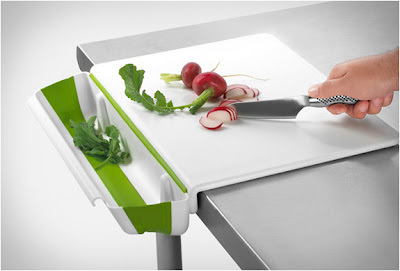 Chopp Cutting Board: This chopping board comes with two storage containers, a cheese grater with storage container and interchangeable heads, a holder and a feature for cutting fruit and vegetables. 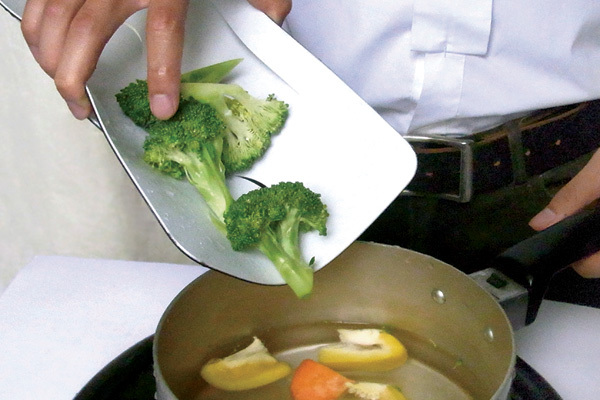 Filter Plate: This simplistic board is made from polypropylene, its flexible and skidproof. Smart Chef Kitchen PC and Cutting Board: The cutting board is made from bamboo and it contains SmartChef's computing and food scanner, and a portable touchscreen provides a kitchen-safe interface. 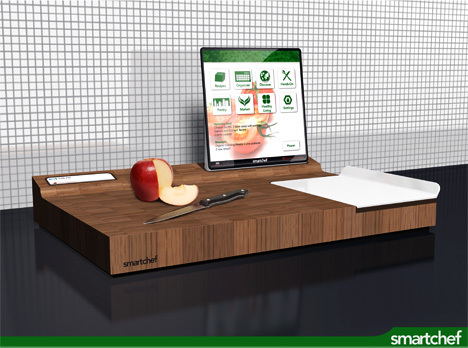 Digital Cutting Board: This smart-board works as a cutting board, displays the recipes, provides step-by-step directions and weighs the ingredients. 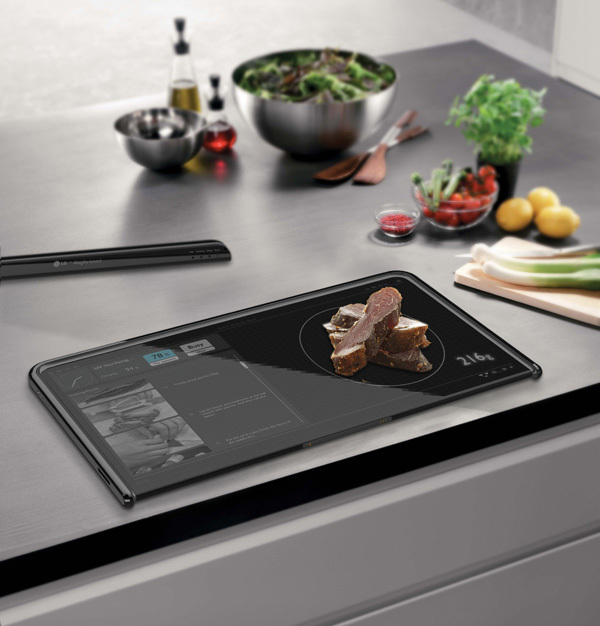 And what more once you wash it, it will even tell you if it has been cleaned enough or not. 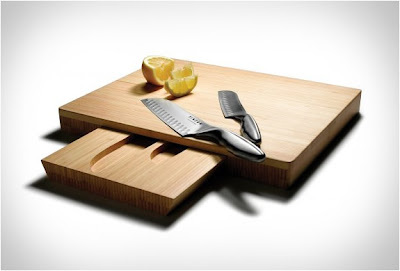 Pego Cutting Board: The unit consists of a cutting surface, secured knife and pins to hold food in place while you cut. 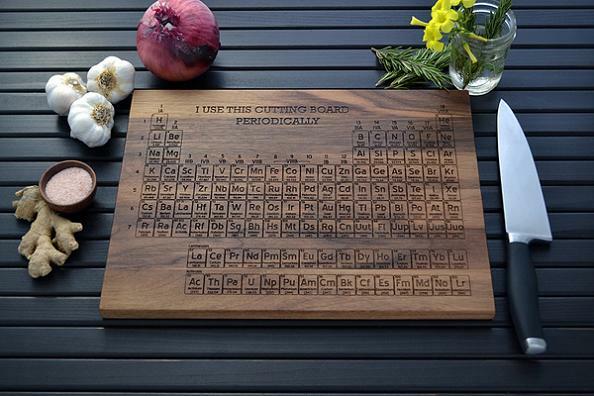 Periodic Table Cutting Board: How about preparing food on such a playful cutting board like this one? Mocubo Cutting Board: The cutting board is made from bamboo, comes with three separate removable containers, that lets you to organize your chopped food. 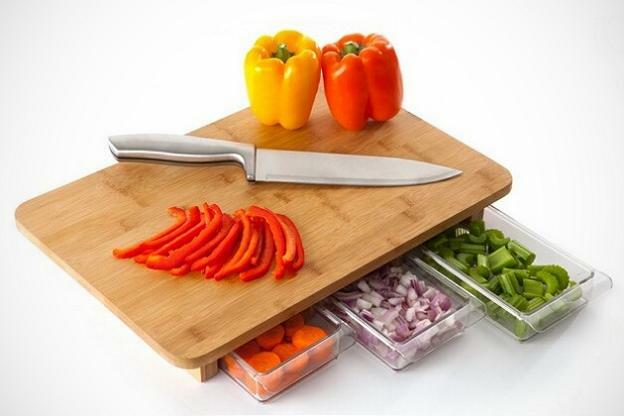 Knives and Cutting Board Set: The board is made from bamboo, and it comes with 5 and 7 inch santoku knives, and a bamboo storage drawer. 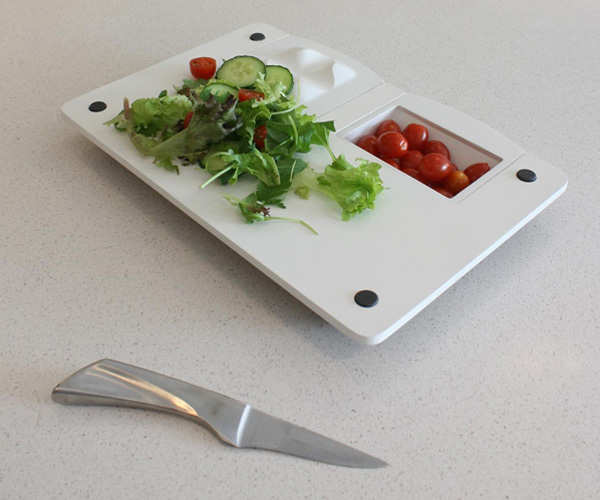 Cutting Board and Tray: The Cutting Board features a built-in tray that lets you to easily separate food. 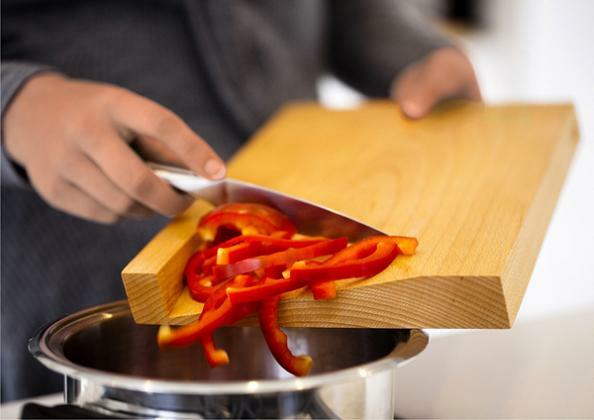 Over Washbasin Cutting Board: Over the washbasin cutting board is made from Moso bamboo, measures 24 by 12-1/2-inch and comes with an integrated colander. 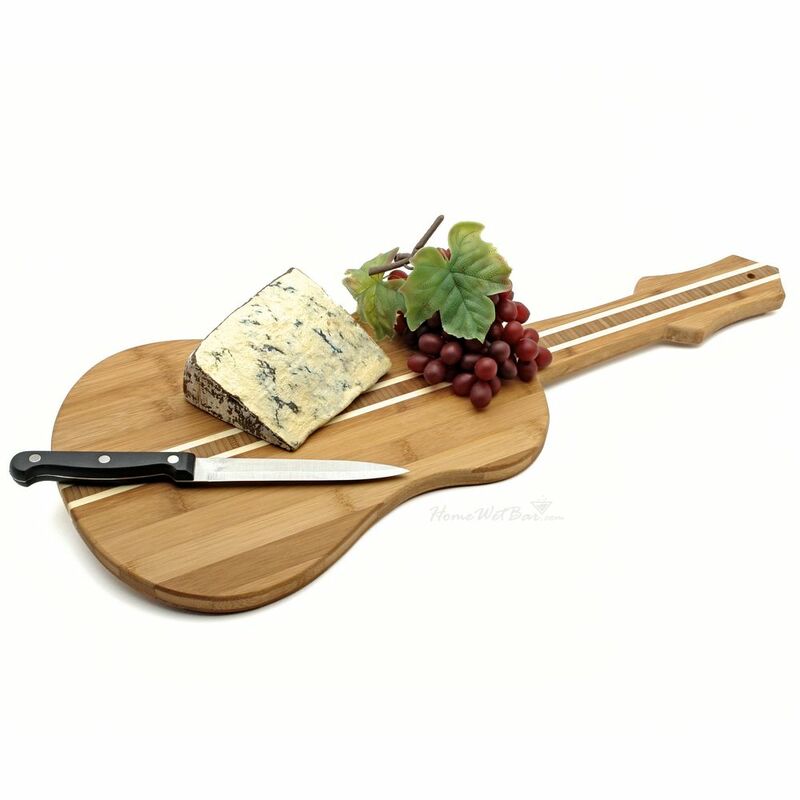 Guitar Shaped Bamboo Cutting Board: Strum to the tune of some new recipes with this cool guitar shaped bamboo cutting board. 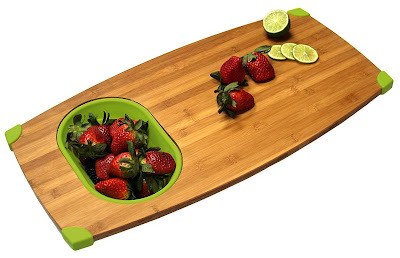 Picnic Time Touchdown Cutting Board: The cutting board features bamboo construction with a football silhouette. Don't miss to check out "Cool Cutting Boards and Creative Cutting Board Designs - Part: 1| 2| 3." 50 Creative and Cool Ways to Reuse Old T-Shirts - Part 4. 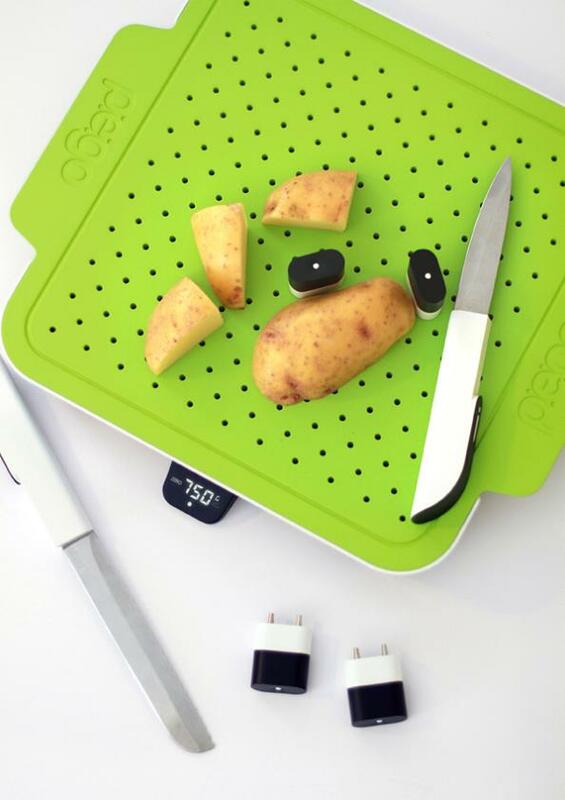 15 Creative Gadgets and Products for Picnics and Camping - Part 2.